I wanted to be an archeologist when I was a kid. The name was cool and it was the biggest word I knew at the time. When I was nine, I watched a show about volcanoes and the weird tunnels they sometimes leave and I suddenly changed my mind. 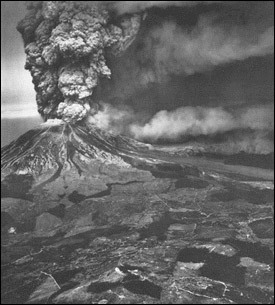 Then in 2004 when Mount St Helens tried blowing up again, I drove down the state with some college buddies to join the mass of other lunatics to stare in wonder at the smoking monolith. Nothing happened. My feelings towards rocks didn’t change but I remember feeling amazed by the remaining devastation from the 1980 blow. Even though it was near 20 years later, certain plots of trees were still prostrate on one side of the national park. Anyway…I didn’t wake up one day and decide to try my hand at the wine business. My first sip of wine came – appropriately enough! – from my Nana’s refrigerator at her Issaquah, WA house when I was maybe 5 years old. Someone had left a half empty glass in the fridge and all that is yellow is apple juice so I had a sip. Not juice! I’ve worked in the service industry for over a decade… sadly dating myself a bit. I was working at Matt’s Rotisserie and Oyster Lounge when Sideways hit and ruined the reputation of perfectly good Merlot. When was a commodity to me, an extra charge on the bill and a bigger tip. I was 19 when I first saw the UC Davis flavor wheel in a tasting room at Chateau St. Michelle during a manditory staff training. I wasn’t allowed to taste a damn thing!”That’s fine, your nose will help you detect the wine’s flavor,” instructed the wine director. What the hell? Who says that to teenager? Years past, I left Washington. Had to get outta there. I attended college in Maryland. I met someone, got a “job offer” and moved to Boston, MA. 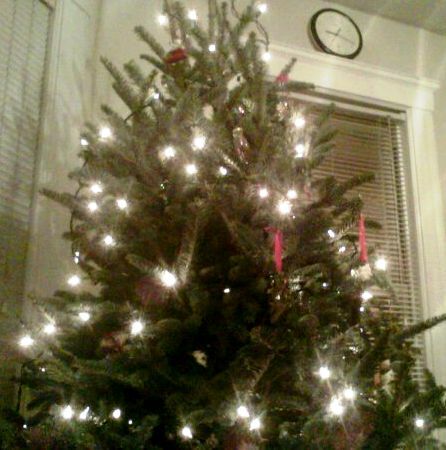 Fast forward one year later: I’m near my Christmas tree on the couch in my Somerville apartment wondering what the hell I’m doing. My tree needs an angel or something. I really want wine to be my profession but how I can’t help noticing that being a wine connoisseur is more of a hobby. The lucky few who successfully make the wine industry a career sparce and jaded, often just ending up at a liquor store. EW. Is that all there is? Well, I’ve been looking for part-time day employment within fields I focused upon in college: writing, technical communication, even light teaching. My girlfriend was encouraging and suggested that it’s sometimes hard to follow our passions and still meet our financial requirements. And how! I’ve read too many wine books, worked a variety of odd wine jobs and sacrificed waaaay too much time with those who are dear to me for all of this to just turn out to be a hobby. I love wine. I love talking about it, drinking it and writing about it. 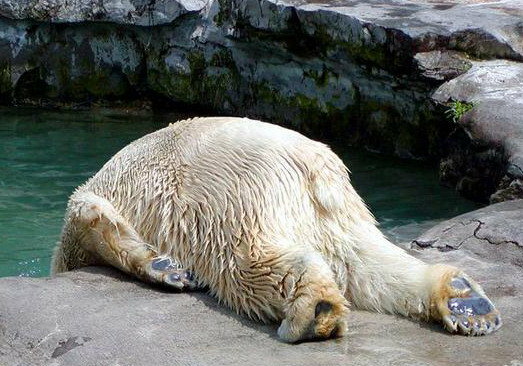 Seriously, I dream in French labels and wine laws… I DON’T EVEN SPEAK FRENCH! Like I said, clay angels! not “so and so doesn’t like me today!” not even “will I have kids?” – well, that’s kind of a lie – I think about buying a ticket to France, lying on my back in the Burgundy earth and making dirt angels! That’s how badly I want this. I can literally taste the dark clay in my mouth. My boyfriend repeatedly tells me if everything came easily, there would be nothing to work for in life. If tedious studying and working late nights as a server isn’t paying my dues, I’m not sure what is. I don’t want to be a doctor or a lawyer; I just want to give people the best wine experience that I can as a career. Where ever that is. What’s in a wine list? My wine list at Noche can best be described as discombobled. My GM and I started the project back in September when I joined the staff but everything seems to have done a little flip-flop. The initial premise of Noche was to offer Spanish-influence cuisine with a new American twist. The only problem with that was our wine list was so stuffed with crappy Californian Central Valley fruit that other industry people were literally laughing at our list. So, the GM and I took in upon ourselves to send back the crap that someone bought at the opening of the restaurant (neither of us were working in June!) and try to ignite the list with Spanish, South American artisanal wines. Doesn’t sound so hard, right? Well, when you put a wine student into a position of deciding power, you’re probably not going to be just Spanish and new world wines. I wanted artisanal French wines, my GM wanted Italy, we both hate Australia, hey! let’s buy everything that Charles Smith makes! So, the wine list grossly deviated from our original plan. We still had some bottle on the menu that served as a thorn in our sides but for the most part, we were pleased. Now the menu is being completely re-constructed. After only being open for 6 months, we’re so far away from the beginning concept that people literally blog about our name “Noche”. They say that we have nothing on the menu that is Spanish, which is absurd: Plantains, jalapeno and cilantro in everything, our tequila selection pisses off the tapas restaurant down the road, etc. But I do kinda agree that we could put more latin flair on the menu. That’s exactly what’s going to happen in the next week. Chef is concocting a slew of new dishes and sides to silence the confusion of the Boston foodies/bloggers. Here’s my dilemma: ALL WINE MUST GO! No French, no Italy and that New Zealand Sauvignon Blanc from Craggy Range should probably go too. My GM and I are a bit beside ourselves. It’s no one’s fault in particular… we just left the original concept at the door like everyone else did. Fine, we’ll rebuild, adapt, move on. But the problem is I love most of these wines. We have been tasting and changing the wine list since September and we had finally reached a spot to grow the Reserve section when the plug got pulled. Enter Argentina, Chile, Spain…. Are people ready to accept Garnacha over Grenache? One of the bartenders flipped out when I told him what would soon be happening to the wine list. Well, he’s a bit of a spaz and clearly has no idea that the two grapes are in fact the same. He wanted to sound cool (don’t drink at work people). But I understand. They do have striking differences based on the land they grow on and who grows them. But Garnacha and Grenache come from Spain and France respectively, and both countries are “old world” so the refinement ought to be similar. I find Garnacha to be spicier but most of the time these grapes are part of a blend anyway, so if I try very hard, I might locate a bottle that is stylistically similar to France’s Rhone gem. We’ll see. It’s a challenge and if it’s what must be done to slap the concept awake, I’ll do it. “It’s from France,” I finished for him. He nodded. 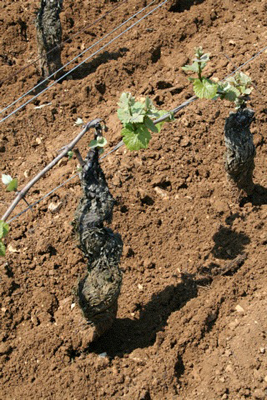 My Croze-Hermitage is going back, my Sancerre and Cote Est. I’m disappointed but I get it. Back to square one and all the big boys have to stay locked away in a wine shed somewhere in the middle of Lowell. You are currently browsing the Lersif blog archives for December, 2010.